As the demand for international airline travel continues to increase, airlines are looking for ways to fly more passengers to more places in less time. Emirates recently announced they would begin operating non-stop flights between Dubai and Panama City on 1 February 2016. 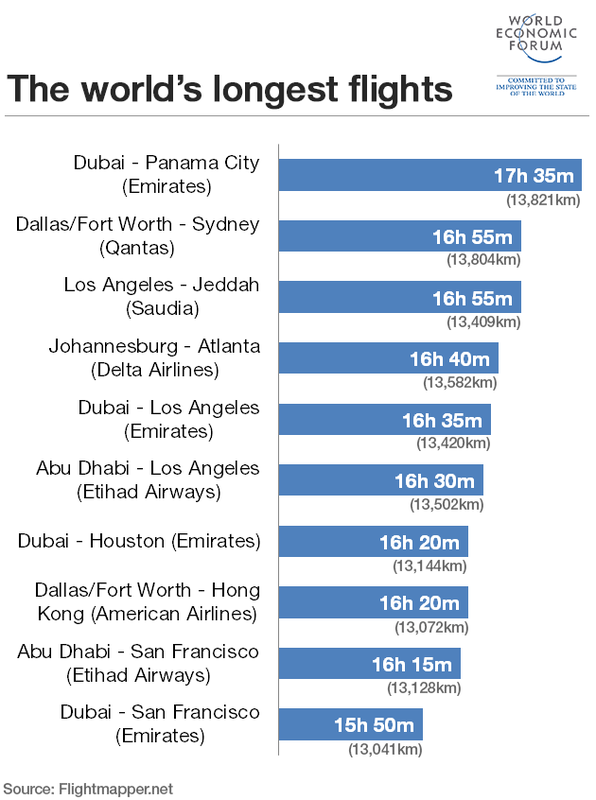 The flight will cover a distance of almost 14,000km and passengers will be in the air for an astonishing 17 hours and 35 minutes – making it the longest non-stop commercial flight in the world. How does this new milestone in aviation compare with other non-stop international flights? While Emirates may soon be the new leader in distance travelled during a non-stop commercial flight, it does not hold the all-time record. That honour belongs to Singapore Airlines Flight 21 between Singapore and Newark, New Jersey, which covered a distance of 15,329km on a flight that took almost 19 hours. The flight had its final voyage on 23 November 23 2013 – a disappointing development for travellers who enjoyed a trip that took them over the Arctic Circle. Panama City will be Emirates’ first gateway in Central America, providing convenient connections to Latin America, South America and beyond. New route will be the world’s longest non-stop flight and the only one to offer First Class service. Emirates, a global connector of people, places and economies, today announced its plans to launch services to Panama City, beginning 1st February, 2016. The new service will be the longest non-stop flight in the world (17 hours 35 minutes in the Westbound direction) and will be Emirates’ first gateway destination in Central America. Service to Panama City, Panama’s capital and largest city by population, will commence with a daily flight operated by a Boeing 777-200LR aircraft in a 3-class layout – 8 in First Class, 42 in Business Class, and 216 in Economy Class. The aircraft can carry up to 15 tonnes of cargo. Key imports to the country include pharmaceuticals, machinery products, iron/steel rods, and electronics. Service to Panama City will operate through Tocumen International Airport (PTY). Both a vibrant metropolis and gateway to tropical destinations, Panama City is also the economic and financial centre of the country with the major industries being international banking, commerce, and tourism. Ideally located between North and South America, as well as the Atlantic and Pacific Oceans, Panama City has developed an unrivalled transportation and communication network. It operates two of the busiest ports in Latin America, including the Colon Free Trade Zone – the world’s second largest free trade zone. Additionally, the ongoing expansion of the Panama Canal has helped contribute to Panama’s economic growth in recent years. Later this year, Emirates will be adding 4 additional routes to its global network including Mashhad, Iran and Orlando in September; Bamako, Mali in October; and Bologna in November. Emirates flight EK251 will depart Dubai at 08:05 and arrive in Panama City at 16:40 daily. The return flight EK252 will leave Panama City at 22:10, arriving in Dubai at 22:55 the next day. Since its launch in 1985, Emirates Airline has received more than 500 international awards in recognition of its efforts to provide unsurpassed levels of customer service. 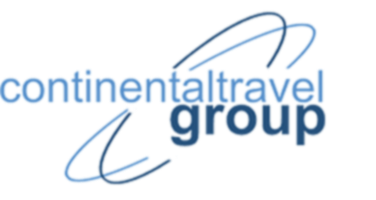 The airline has experienced rapid and consistent growth, and has been profitable for the last 27 consecutive years. Financially self-sustained and unprotected, Emirates carried 49.3 million passengers in the 2014-15 financial year and declared a net profit of US$ 1.5 billion, the Group’s revenue increased by 10 per cent reaching AED 96.5 billion (US$ 26.3 billion). Emirates is based in Dubai, one of the few cities in the world that pursues an open-skies policy, and operates alongside more than 150 other airlines in free and fair competition. Its all wide-bodied fleet of over 235 aircraft includes 14 freighters and is among the youngest in the skies. The airline plans to more than double its size by 2020. Emirates presently has 274 aircraft pending delivery, worth over US$135 billion in list prices. Emirates operates services to 147 destinations in 81 countries in Europe, North America, South America, the Middle East, Africa, South Asia and Far East and Australasia.